This tin of goodies will satisfy any sweet tooth! 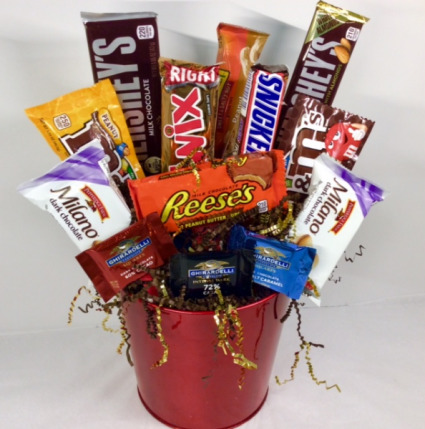 It includes classic candy, like M&Ms, Reese's peanut butter cups and Snickers to name a few. It also has Milano cookies and a Nature Valley granola bar.